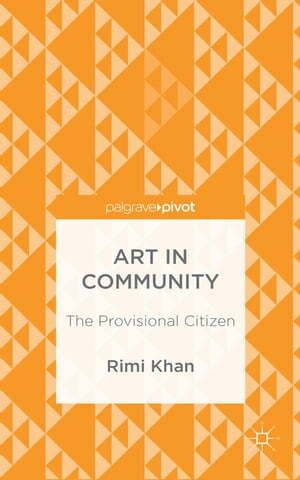 Collins Booksellers - Art in Community by Rimi Khan, 9781137512505. Buy this book online. The arts are situated at the centre of a range of policies and programs seeking to make communities more creative, cohesive or productive. This book explores the relationship between government and community that frames these cultural practices, and the individual citizen who is the subject of this activity. This citizen is an unstable one – who moves between attachments to community and individualised strategies of self-styling, and who must negotiate the liberatory promise of art with its usefulness to government. These conflicting agendas produce a provisional citizen – a figure that emerges from the norms of neoliberal government as well as through affirmative, and everyday practices of self-making. By drawing on detailed case studies, Art in Community highlights the governmental, aesthetic and economic contexts which determine what we mean by art and community. In doing so, it offers a constructive and optimistic account of art in community, and new terms for thinking about the ties between government, culture and the self.